Behind every historical artifact at a museum, there’s a perfectly normal and rational explanation as to how and why it came to be. Yet, every so often, something is discovered that leaves scientists and historians utterly baffled, to the point of dedicating years of their lives trying to shed light on its origins. Here are ten of the most bizarre historical finds ever reported. Some of the following artifacts and sites are very real and can be visited today, despite their enigmatic nature. Others were destroyed by nefarious forces or never existed at all, depending on who you ask. In the middle of 1934, Max Hahn, a resident of London, Texas, discovered an odd-looking rock on a ledge beside a waterfall. The rock was apparently very happy to see him, judging by the piece of wood protruding from it. Max took it back to introduce it to his family, and being the curious kind of folk they were, they cracked the rock open with a hammer and a chisel. Much to their surprise, the rock was hiding part of an old hammer inside. They filed into one of the beveled sides of the hammerhead to ensure that it was made of metal. It was. When the rock was cracked open, the metal hammerhead was exposed to the light of day for the first time since the rock formed around it. The problem is that the rock is purported to be up to 400 million years old. Humans aren’t supposed to have evolved until hundreds of millions years later. 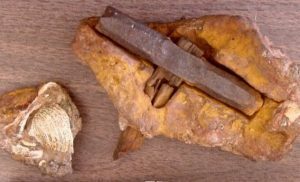 One explanation is that the mineral concretion around the hammer itself is not 400 million years old, regardless of the age of the area it was found. Others, however, tout the London Hammer as supporting evidence for creationism. 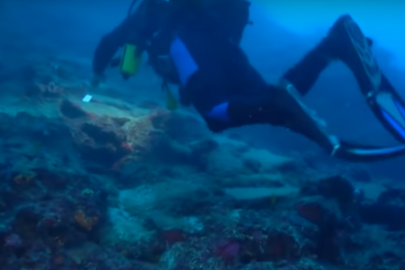 Three flat pieces of bronze were recovered from an ancient Greek shipwreck off the coast of Antikythera between 1900 and 1901. Scholars had no idea what they were at the time, nor were they able to figure anything out about it for decades to come. Over time, the disks started to corrode into different shades of green, obscuring some of the crucial details of the discovery. 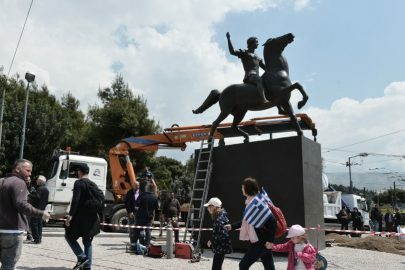 For years, the three mysterious pieces of bronze were forgotten. 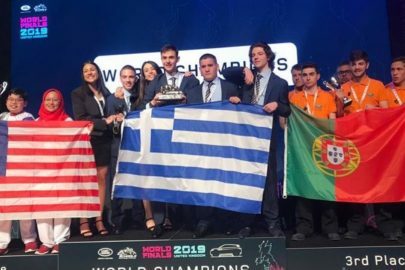 It wasn’t until Mike Edmunds from Cardiff University in Wales decided to publish CT scans of the disks in 2006 that real interest in the Antikythera mechanism started to pick up. Not only did it resemble technology that was shockingly modern for the time from which it originated (anywhere from 205 to 87 BC), but the CT scans revealed more details of the device’s inner workings and hidden inscriptions. 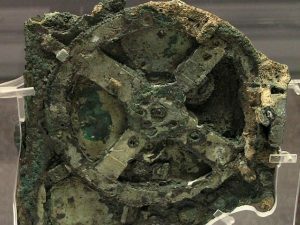 The Antikythera mechanism seemed to resemble a mantel clock, with bits of wood found on the fragments to suggest that it was kept in a wooden container. The case would have had to have featured a large, circular face with rotating hands. There also had to have been some kind of knob or handle on the side for winding the mechanism forward or backward. If you fiddled with the knob, gearwheels inside would have driven at least seven hands at various speeds, as opposed to the two or three in a typical clock. What’s truly mind-blowing is that it wasn’t tracking hours or minutes; it kept track of celestial time. That’s right, every hand represented a piece of our solar system. There was a hand for the Sun, one for the Moon, and one for each of the five planets visible to the naked eye: Mercury, Venus, Mars, Jupiter, and Saturn. A black and silver ball rotating around along with the other hands represented the phase of the Moon. The hidden inscriptions turned out to be dates on which the stars would rise and set. Everything seems to be crystal clear, although a few problems remain. Experts are still trying to decipher the inscriptions hidden inside the mechanism in an attempt to understand the missing pieces, which may either be destroyed or still at the bottom of the sea. Without the missing pieces, we may never discover the full extent of how sophisticated this mechanism truly was. 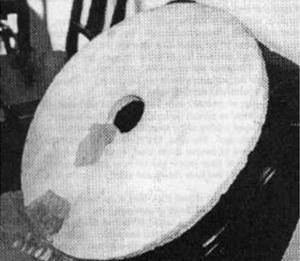 The Dropa stones, if they were real, were reportedly found in the mountains of Baian Kara-Ula, right on the border between China and Tibet. They are said to have been discovered in 1938 by a Chinese professor, Chi Pu Tei, who found regularly aligned rows of graves. The skeletons inside were small in height (122 centimeters [4′] tall) and had large, overdeveloped skulls. Chi Pu Tei and his team found some interesting rock art inside a nearby cave system, which depicted figures with round helmets. There was also engravings of the Sun, Moon, Earth, and stars. Once they ventured further into the cave, the team found the collection of 716 stone discs. Most of them were half-buried in the ground. The Dropa came down from the clouds in their aircraft. Our men, women and children hid in the caves ten times before sunrise. When at last we understood the sign language of the Dropas, we realized that the newcomers had peaceful intentions. Shortly after his name was dragged through the mud, he went into exile and later died. In 1968, the Russians had a crack at investigating the Dropa stones. A Russian scientist, W. Saitsew, became fascinated with them. He decided to place one of the disks on an oscillograph, and much to his surprise, an oscillation rhythm could be heard. It was as if the stone was somehow electrically charged or had functioned as an electrical conductor. A German scientist, Hartwig Hausdorf, and his colleague, Peter Krassa, visited China and the Banpo museum in Xian in 1974 to research the disks. Upon arrival, they were told that the director’s superiors had ordered them to destroy the disks and to officially not recognize the Dropa stones’ existence anymore. Quite a few mysteries still remain. Why were the disks ordered to be destroyed? Why doesn’t the Chinese government have any records of a tribe called the Dropa? Was Tsum Um Nui right about his translations? Did the stones even exist at all? 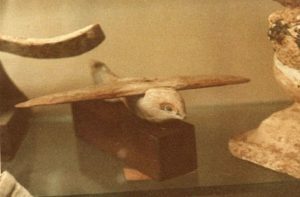 Dr. Khalil Messiha, the physician who discovered the artifact, speculated that the Egyptians made it as a model of an aircraft they either constructed or witnessed. According to him, the Saqqara Bird had aerodynamic qualities and was only missing a tail wing stabilizer. In theory, it would have been capable of flying if it had the tail wing stabilizer attached. He built a replica of the Saqqara Bird with said stabilizer, and much to his surprise, the model actually flew. Some archaeologists believe that the artifact is nothing more than a depiction of an actual bird that coincidentally resembles a glider. The true purpose of the Saqqara Bird still remains unknown to this day. Was it simply a toy, or was it an interpretation of what the Egyptians witnessed while they were still alive? 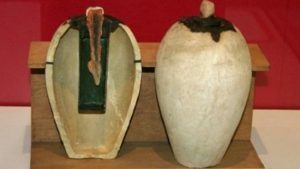 Discovered in a village in Iraq, the Baghdad battery is an intriguing example of ancient technology. It’s comprised of three parts: a ceramic pot, a copper tube, and an iron rod. Some believe that it was used to electroplate gold onto silver objects, but this claim was never proven, nor is there any evidence to support this theory. Ancient astronaut theorists think that similar devices were used as a light sources inside pyramids by ancient Egyptians, which is just another theory that can’t be proven. Reportedly, a researcher named Dr. Arne Eggerbech was the first person to look at the pot and wonder if it worked as a battery. Building a replica, he used grape juice as an acid and thin layers of silver, which supposedly resulted in the production of electricity. If the Baghdad battery was what its name suggests, it would predate Alessandro Volta’s electrochemical cell by a millennium. Some archaeologists, however, think it was simply a device to store scrolls. It’s a little hard to study it further, as it was reportedly stolen during the US occupation of Iraq in 2003. Back in 1929, German theologian Gustav Deissmann was busy working at the Topkapi Palace Library in Istanbul. While he was filing away antique items, he came across a peculiar-looking gazelle-skin parchment on top of a stack of discarded items. Upon taking a closer look, he was surprised to see something made out of animal skin showing the outline of South America. He picked it out of the heap to study. It was drawn and signed in 1513 by a Turkish cartographer named Hagii Ahmed Muhiddin Piri, also known as Piri Reis. 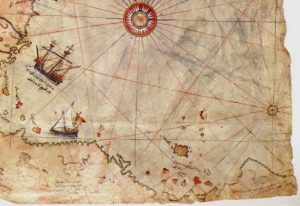 His sources for the map included eight Ptolemaic maps, four Portuguese maps, an Arabic map, and one drawn by Christopher Columbus. Here’s where it gets weird: According to some, not only does this map show Antarctica almost 300 years before it was officially discovered, but it supposedly shows the continent as it would have appeared before it was covered with ice. The map is also claimed to have been drawn using the Mercator Projection, which wasn’t used by European cartographers until the late 16th century. There is still no explanation as to why Antarctica showed up to the party too early (if, indeed, that’s what the map shows), but the use of the Mercator Projection could be because of Piri’s sourcing of Greek maps in his creation of this one. In Micronesia, off the island of Pohnpei, lies Nan Madol, the only ancient city ever to have been built upon a coral reef. Built upon roughly 100 artificial islands, it’s truly an engineering marvel. Archaeologists just have to figure out the how, when, and why. There are no known records in existence to explain the ancient city’s existence. Although some evidence of human activity on the islands dates back to the first or second century BC, the city itself has been dated from the fifth to 11th century AD. It is generally believed that the islands were used as a ritual and ceremonial center for the ruling chiefs of the Saudeleur dynasty. 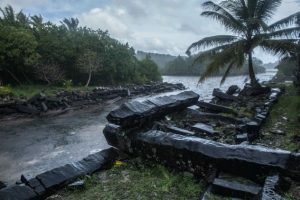 Most of the inhabitants of Pohnpei believe the legendary explanation for Nan Madol: It began with the arrival of twin sorcerers, Olisihpa and Olosohpa, who hailed from Western Katau. The brothers sought a place to build an altar for Nahnisohn Sahpw, the god of agriculture. After successfully building their altar, they used it to perform rituals to levitate the huge stones with the help of a flying dragon. On the northern outskirts of the city of Cusco in Peru lies the walled complex of Saksaywaman (spellings vary), believed to have been built by the Inca. The walls are made out of boulders, carefully cut to fit together tightly without the use of mortar. This level of precision fitting is unmatched in the Americas. This, not to mention the variance of shapes interlocking as well as the wall leaning forward somehow, has baffled scientists for decades. One theory, suggested by Dr. Derek Cunningham, is that the orientations of the stones correspond to astronomical alignments. According to him, ancient civilizations developed writing from a very archaic geometrical form based on the study of the motion of the Moon and the Sun. Astronomical values, considered central to the prediction of eclipses, were converted into angular values. He sees the same values present in the construction of the Saksaywaman walls. 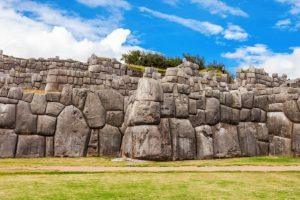 How did the Inca came to know about astronomical values, and how were they so accurate with the angles of their stone wall? The first set of the Dead Sea Scrolls were accidentally discovered in seven clay jars by teenage shepherds in late 1946 or early 1947. They were made out of leather and papyrus. The scrolls passed through various scholars, who estimated them to be more than 2,000 years old. After the initial discovery, treasure hunters scoured the nearby caves and managed to unearth more scroll fragments. They comprised over 800 manuscripts, to be precise. Nobody knows who wrote the Dead Sea Scrolls. According to the most prominent theory, they were the work of a Jewish population that inhabited Qumran until Roman troops destroyed the settlement sometime around AD 70. 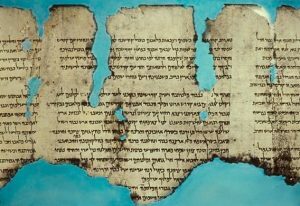 Almost all of the Old Testament is represented in the Dead Sea Scrolls, except for the Book of Esther, which details the story of the Jewish queen of Persia. Some believe that those scrolls disintegrated over time or have yet to be discovered. Another peculiar aspect of these mysterious scrolls is that they include a guide to hidden treasure. While the rest of the other texts were written in ink on parchment or animal skins, the Copper Scroll was chiseled onto metal sheets to better withstand the test of time. None of the treasures it describes have been found, much to the disappointment of eager treasure hunters. It’s possible that the Romans already got them years ago. At the Museo Regional de Ica, you’ll find some oddly shaped skulls on display. Throughout history, different cultures have changed the shape of their children’s skulls by tying two wooden boards to their heads and making them fit tighter day by day. One look at these skulls, and you’ll swear their mother rolled them down a mountain like pizza dough on a daily basis. 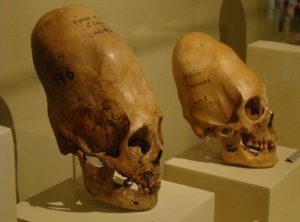 It has been repeatedly claimed that when DNA testing was carried out in 2014, it was found that the Paracas skulls have mitochondrial DNA with mutations unknown to any human, primate, or animal known so far. 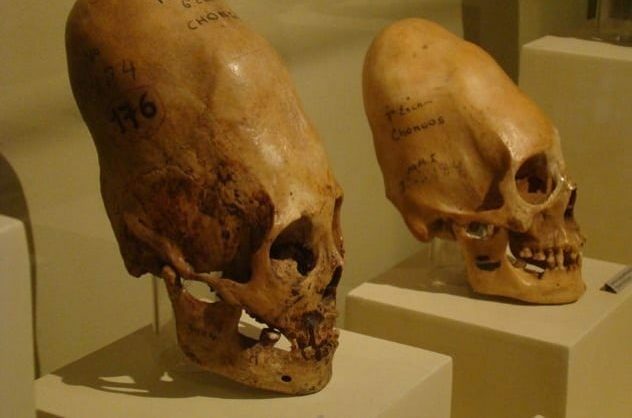 Other sources have just as repeatedly debunked these claims, pointing out that any abnormalities in the DNA can be explained by any number of factors and don’t mean the skulls are alien-human hybrids.